I did not enjoy this knitting process of this sweater. And I'm not sure why. The pattern was simple and clear. Maybe too simple? I still consider myself an advanced beginner... but maybe I should really consider myself a beginning intermediate? 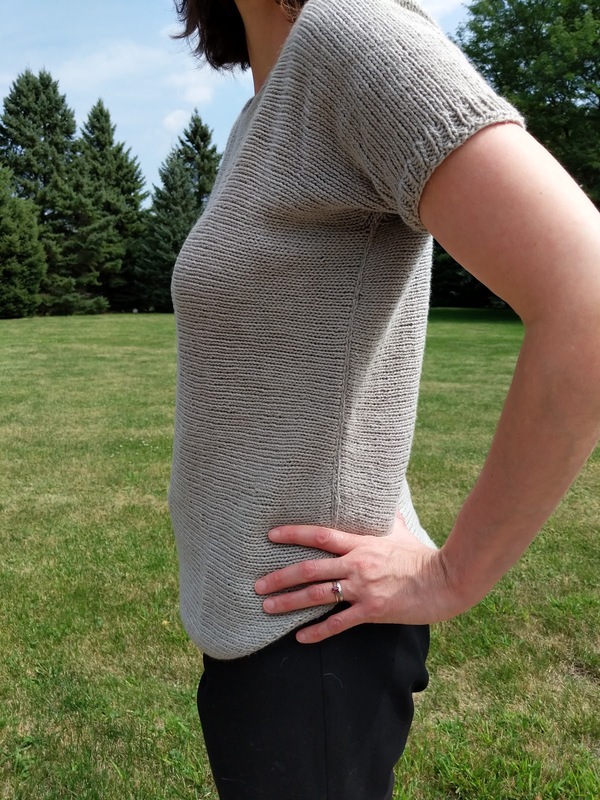 The Cosette is knit in one big ole piece and then sewn together. I'm still not great at sewing seams so I ended up with an uneven hemline and side seams that look vastly different. I tried to Frankenstein the bottom hemline as best I could, and am choosing to ignore the side seams that don't match. 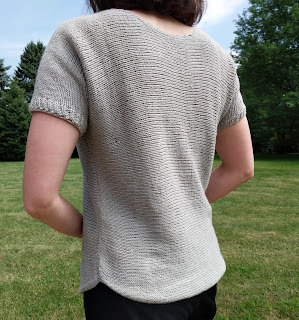 I wore this in public (first handmade knit worn in public ever!) and was only mildly self-conscious in it. Basically, my fear is that someone will say: "I like your shirt... did you make it?" because it's super-obvious that I did and they feel obligated to notice. My dream is that they will say "I like your shirt... wear did you get it?" and then I can wow them with my brilliance. Maybe someday. 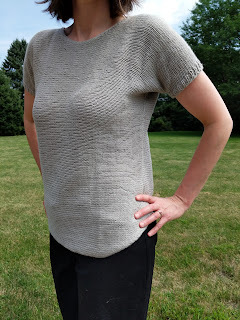 Choosing the yarn: I used Classic Elite Yarns Hanako in gray (Silvery Moon?). Greta and I were at a yarn store, and I was like, I want to make something so what should I buy and what should I make. I popped onto my Ravelry account, found a pattern and then found some yarn that would work (the store didn't sell the suggested yarn). It seemed very splitty at first, but I didn't have problems with it moving forward. By the end of the day, there was considerable stretch-age, but nothing too crazy. I will definitely have to wash again before the next wear to get it back into shape. Would I make again: Nah. The final product was fine, but I just haven't mastered the proper seaming technique, and it was just not fun to knit. It felt like a chore to pick up and work on. In general though, I like the pattern and think other people would have more luck with it. Pay no attention to the seam on the other side.